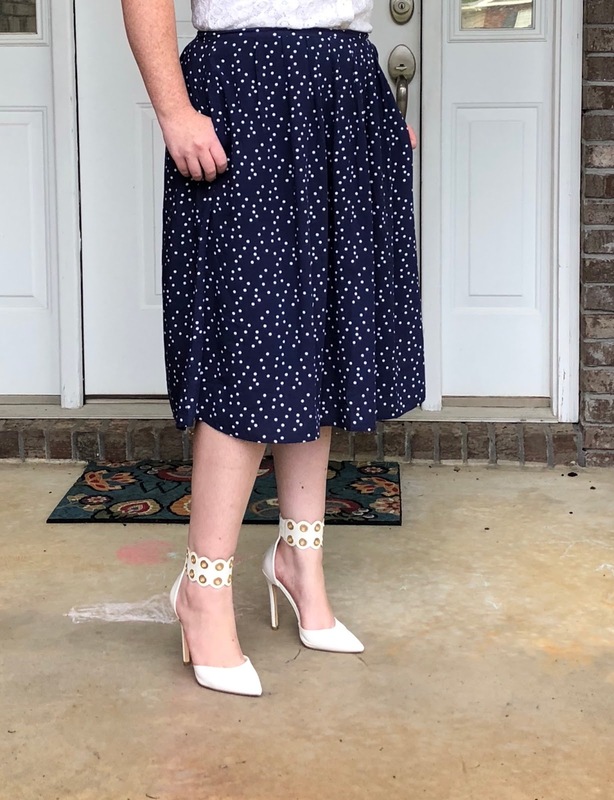 Nothing says summer quite like blue and white polka dots. 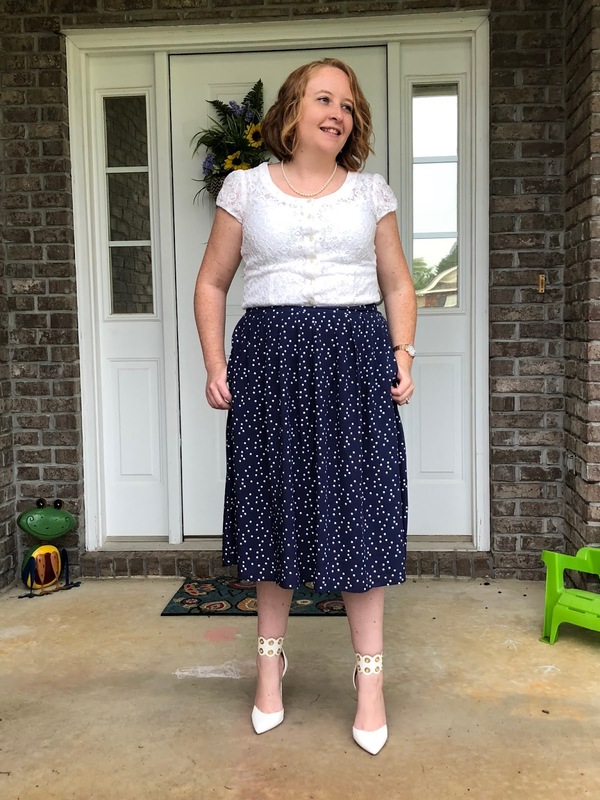 A couple of years ago my favorite blue and white polka dot skirt literally wore out, and I’ve been looking for a replacement ever since. Cue this under $20 a-line skirt from Forever 21. 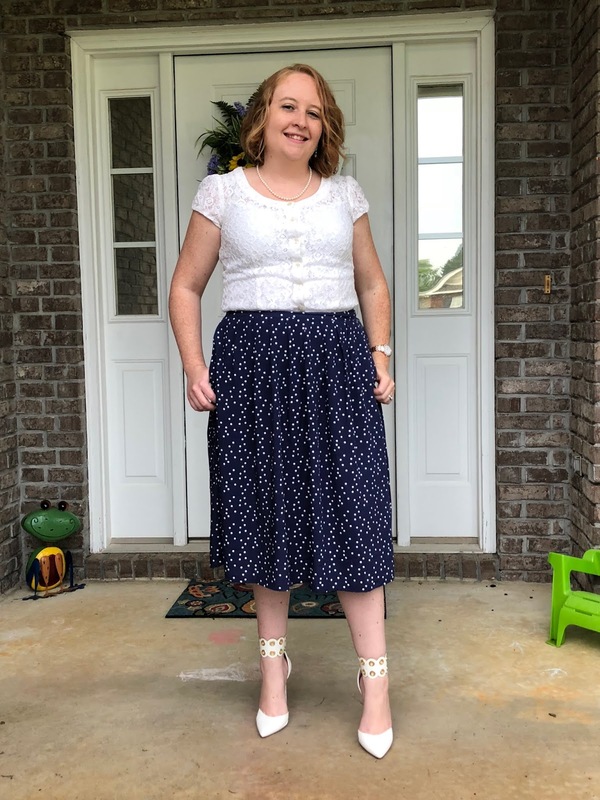 It's flowy, a perfect midi length, and has pockets. It's not lined but I didn't find it to be see-through. 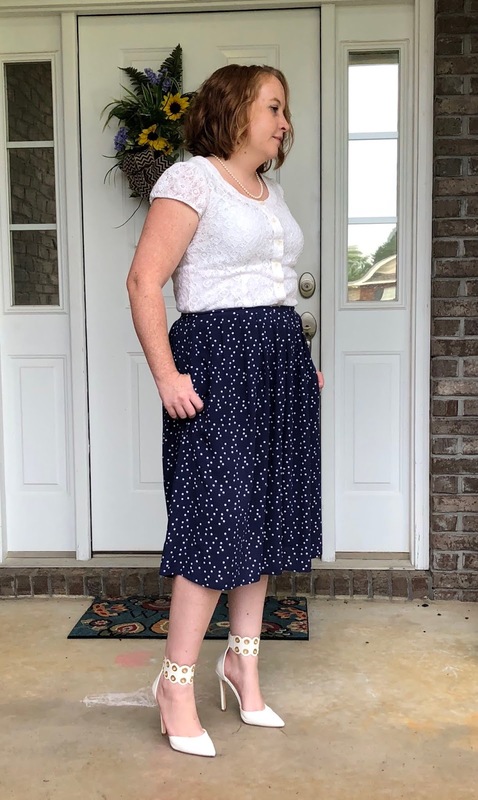 The waist band is not stretchy so you may want to size up for comfort. I'm usually a large at Forever 21 and got this in a large.